According to Audrey Mae’s artistic map diagram and gravestone numbering system, Joseph Jason’s gravestone is Gravestone Number Nine. Using a Smith-Corona typewriter in the 1980s, Audrey Mae typed the following mini-biography of Joseph Jason, a seventh- generation Spencer in East Greenwich, Rhode Island. The editor believes that Audrey Mae’s above reference to Celinda not wanting to be buried in the same cemetery as “Gus” refers to William Augustus Spencer (gravestone No. 64). Violet Kettelle (2-22-1912–6-4-2004) was a Spencer historian. She was the first woman to enter Penbroke College in Rhode Island. 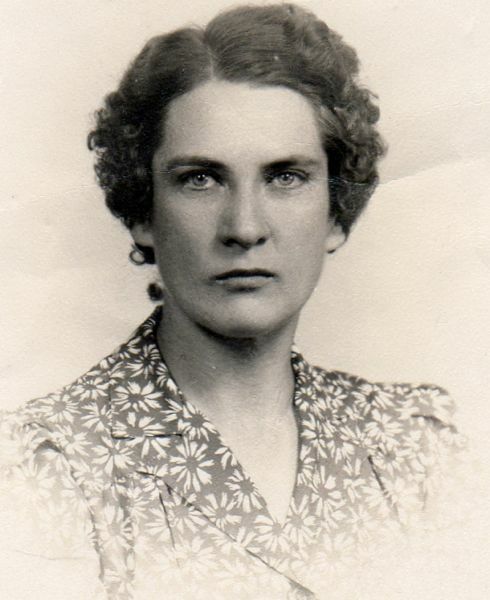 Violette taught school in Vermont for most of her long career. 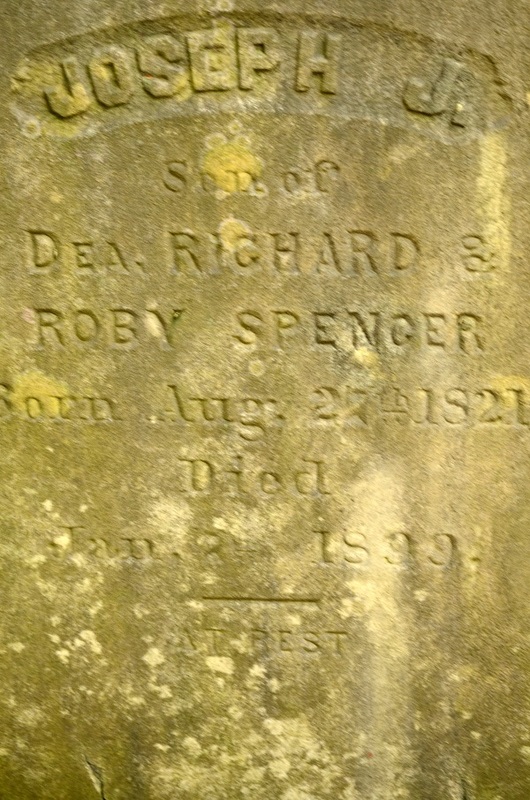 (glossary of audreymaespencer.com) Violet’s family home was on north side of Middle Road, to the east of the Spencer family cemetery. “Joseph Jason was an angel, but all the Ketteles thought he was lazy” says Audrey Mae in “Glimpses of the Past: Morning Conversations with Audrey Mae” memoirs on 10-23-2004. According to Audrey Mae, Augustus Burnside (gravestone No. 24) is also a child of Joseph Jason and Celinda. Augustus Burnside died as a child of three years. 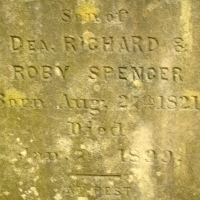 This entry was posted in All Gravestones, Born into the Spencer line, on December 13, 2012 by Heather.